Are you having a bad day? Don't worry, it's normal. I was preparing a little speech to give to Rolfe about how I’d had enough and wanted to give up and go home. We were at Camp 2 on Everest in 2016 during our 2nd attempt at the summit that year with our first attempt being aborted the week before due to bad weather. My emotions were running high, I was on hyper alert and Negative Nelly was trying to have her way. Thankfully Positive Polly chipped in. ‘Why do you want to give up? You’ve come so far and been subjected to worse, don’t let this moment of pain eclipse a life time of achievement. The short-term pain of what you are going through now is insignificant compared to the long-term pain of disappointment that you will feel if you, quite literally, give up’ I knew physically and mentally I was capable of reaching the summit but…. Polly was right. Fortunately, I didn’t have that conversation with Rolfe and just put a lid on my feelings and carried on. A few days later we stood on the summit of Everest having survived the earthquake a year before, my own personal victory was bitter sweet. I took this photo at Everest Base Camp, just a short 24 hours after we had reached the summit. I was totally spent. Physically, emotionally, mentally, everything had gone into that moment of standing on top of the world and there was nothing left. I was supposed to be elated but even elation was too tired to show her face, for now. Going through life on a high is not a natural state or thinking that everything will go according to plan 100% of the time is a fast track to disappointment. We all have bad times in our day to day lives so why do we expect a week or more on expedition to be any different? A trip of a lifetime, something that we have worked and saved so hard for, we have chosen to be there and therefore we are meant to be enjoying all of it, right? Well, in my eyes, wrong. Life in general has its ups and downs, its ebbs and flows so why, when we are often in a state of anxiety for long periods of time, do we expect, that everything is going to be fine and dandy. In this blog I explore not only my own experiences of having a bad day (or few) but delve into the experiences of those who expedition in all sorts of ways. How they deal with ‘those days’ and how, in the end, we get through them and live to fight another wonderful and precious day. In this Amazon Prime life of instant gratification and social media happy faces we sometimes forget that it’s during the long slow plod and those not-so-fun times that we grow and become stronger more than during the WhooHoo high on life times. I’ve often been told by clients ‘this is harder than I thought it would be’ and yes, sometimes it is but that’s not a bad thing. 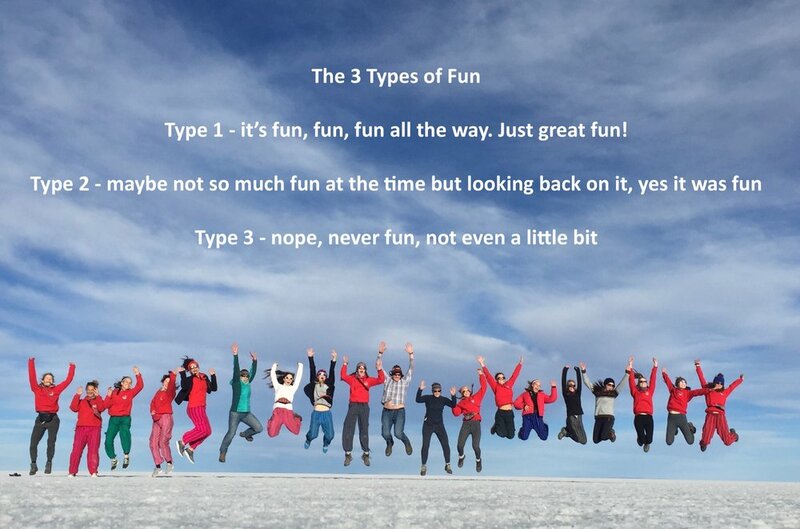 It doesn’t have to be fun to be fun and quite often expeditions are Type 2 fun. The Oxford English Dictionary definition of adventure is ‘an unusual and exciting or daring experience’ and I think ‘exciting’ is the part that a lot of people want and expect most of the time. They feel that having a bad day is a waste of time, but I have come to accept that it’s normal, all part of the way we deal with our perceived limits being expanded and our extraordinary becoming ordinary. When Anna McNuff set off for her first 2 big adventures, cycling all 50 states of America and then running the Tearoa Trail in New Zealand she was, admittedly by her, a novice at adventure but she went into it with open eyes and keen to learn as she went, listening to the advice of those more experienced and then acting on what she thought was appropriate. She was certainly in for some epic adventures and I’d highly recommend you read her first book ‘Pants of Perspective’ that will take you on her rollercoaster 3000km run ‘Down Under’ a couple of years back. In the book she highlights her ‘Cheerleaders’ and ‘Soldiers of Self Doubt’. Similar to my Positive Polly and Negative Nelly, we both went through our own process of filtering out Nelly and the Soldiers in order to come through the tough times. Sarah Outen, of ‘London2London: via the world’ fame shares similar coping mechanisms in her book. She went through some serious and life-threatening moments on her round the world expedition as well as the simpler ‘Am I really capable of pulling this off?’ thoughts. Her peloton of friends and family really struck a chord with me and it’s something that I borrowed and used on Everest when I was having a low physical or emotional energy moment whilst climbing. Knowing that so many people are behind you is a great strengthening factor to just keep on going and I physically felt that I was being pushed up that mountain to the top. Thank you all! I’ve heard these first 5 words so many times before and it makes my heart sink. Don’t get me wrong, I understand the sentiment but when people take it to the nth degree, when the red mist comes down, that’s when it can become dangerous. I lead many an expedition at altitude when this attitude can not only have an adverse effect on the person but also on the group. I’ve been on mountains when people ignore the advice of those in a position of better knowledge and authority. One incident nearly resulted in a life changing event for one chap who ignored his Expedition Doctor’s advice to turn around three times, said trekker snuck by to the summit and then developed cerebral oedema resulting in my local guide rushing him down to our Doctor to be treated and then rushed down to camp to find his group. We had no idea who he belonged to but fortunately someone at camp recognised him. He was a lucky chap. It transpires that he had placed a very large bet on himself to reach the summit, ‘no matter what’. His no matter what could have been life changing and having this type of bad day is totally avoidable. It’s all about your attitude. Now, back to these wonderful adventurers and explorers. Even the best of the best have had bad days and as with all of us it’s how they learn and grow from said days that’s the most important part. Making a good outcome from a bad situation. Sometimes stuff happens on expeditions despite the best planning and preparation. It’s truly annoying to say the least and you do have the ‘Why me?’ feelings but then again, why would you wish it on anyone else. However, when sliding doors are in operation, bad can often turn into good and enhance your life in ways you never thought possible. I hope you are aware of Dave Cornthwaite and Emma Taylor of the SayYesMore tribe. Dave set up SayYesMore in 2015 and this community has had a big impact on many a life. Dave was on one of his Expedition1000 journeys, walking through Jordan with fellow adventurer and great friend Lean McCarron and in his words ‘Broke leg walking Jordan. In the absence of 1000 miles I went home and met Em’. Seemingly, breaking legs runs in their connected vibes as Emms has also broken a leg whilst on expedition too and was transported around in a wheel barrow in Africa. They recently became Mr and Mrs Cornthwaite, hugest congratulations! Stopping when things simply don’t feel right is the best decision to make. It is sensible, it’s mature, it can save you physically and mentally and certainly is not failure. There is a big difference between giving up and checking out when times get tough and stopping for safety’s sake. Scott Smith is an ex-Para and adventurer who runs his own company Adtrex with wife Michelle (more from her later). I’ve worked for and with Scott since 2011 delivering DofE expedition training and assessment and I have learnt a great deal about his strong work ethic and his never give up attitude. He has competed in and completed the Marathon des Sables and the Montane Yukon Arctic Ultra, amongst many other races and mountaineering expeditions, but it was this year’s Iditasport Impossible race that was his biggest event to date. Having trained like a demon and had the best preparation he could all was well at the start of the race but despite his best efforts, the elements just are not with him. Mother Nature would have the final say and no matter whether you think you can beat Her (a fairly risky strategy in my eyes), the sensible option is to come home with all fingers and toes still connected to your body and try again. This what Scott wrote in March of this year after having to pull the plug on his race. For him it wasn’t about the return home date but also the impact on his safety with insufficient food to cover the last 200 miles due to more days on the trail than planned due to the adverse conditions. Sometimes it is just not meant to be. Having spent many an hour discussing his race in my van on DofE whilst the students slept soundly in their tents, I know just how hard it was to make the decision to pull the plug but he has learnt so much from his first attempt, from his training and preparation and will go back stronger in 2 years’ time. If you don’t learn from things that go well and things that don’t then you may as well stay at home. I am a great believer in a sixth sense, that gut feeling you get when you know something is right or wrong. You learn it the more you do your trade, the more experience you get. Expanding your normal is all part of game but listening to that gut and knowing the difference between sensibly stopping or giving up when things get tougher than we expect is a powerful part of your expedition knowledge, your expedition bank of experience. Dealing with what others say about your premature finish is another matter but it’s the white noise that we need to filter out. It is your journey after all and if you are happy with your decision or understand that someone else has had to make the decision to stop for safety reasons then be comfortable with that. People often judge through eyes which lack the full picture. It’s not what happens in our lives, good or not, that make us the people we are but it’s the way we deal with it that is most important. Laura Kennington has completed some seriously amazing expeditions, but as with many of us, it hasn’t always been this way. She started with smaller adventures, building up resilience and a bank of bad days just by being out and about, and that bank is the back bone of why and how we can all keep on going. On her recent Great North Ride, a 6000km 8 country coastal ride, you could feel her pain or elation through her social media posts. When things were getting really tough it was her attitude that shone out to me. When asked to send a photo and a description of a bad day for this blog this is what she wrote. I love the sarcastic positivity at the end, but you know that she has already looked back at that time and really laughed. You can learn so much from other people about resilience and about the way they deal with things when they are at the pointy end of life. I was recently asked what kept me going when I was having a really tough time, where did my determination come from and why on earth did I go back to Everest having experienced the trauma of the earthquake in 2015? A really simple answer was that it was my decision to be there and I could easily make the decision not to be (in most cases!). No-one had forced me to climb that mountain, it was my choice and I’d chosen to be there to push myself, expand my normal, to see what I really was capable of. It was also my choice how to deal with it and I now know when to give myself a good talking to when Nelly gets a little chatty. When we go through the tough times our armour gets a little stronger, our bank of stick-ability gets a little richer and when tough times come again we know how to deal with them. Two further great examples of this are given by ultra-racers Michelle Lawrence-Smith and Katy Parrott. Michelle is a Deputy Head of a comprehensive school in Kent where the students have many challenges in their day to day life, an IML, co-owner of Adventure Training and Expeditions and Scott’s better half. She understands disappointment in many walks of life and is of the ‘keep calm and carry on side’ train of thought. When competing in the Marathon des Sables she suffered as much as many of the other runners with blisters, the searing heat, unrelenting conditions and a rather dodgy shoulder. That race then took her onto the colder climate of the Montane Yukon Arctic Ultra and having gone from +50C in the desert, she experienced -50C in the Yukon. Her calm nature, a life time’s worth of resilience in the bank and with most of the field dropping out (and bits of them dropping off) she kept her nerve and continued safely to take first female place in the race and 4th overall. There is certainly more to come from Michelle. 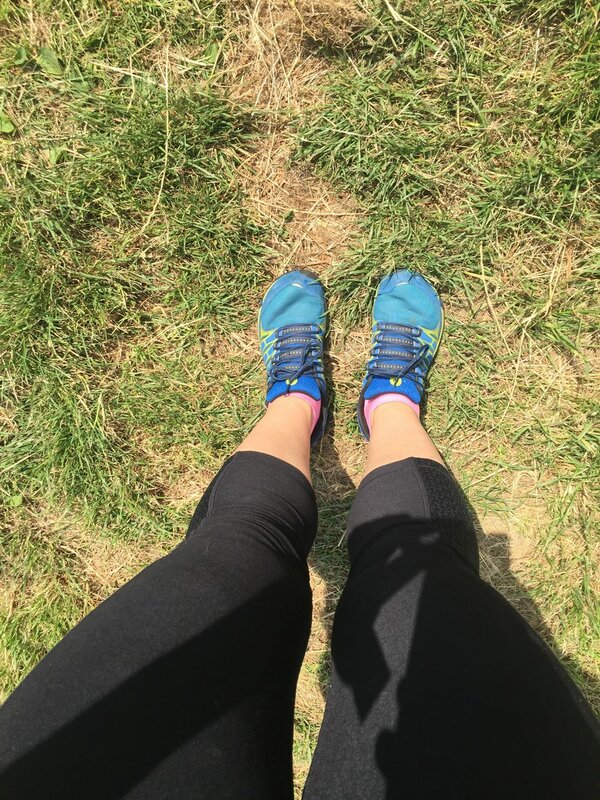 Katy Parrott is not new to adventure, but this year took on her first ultra-marathon, competing in a 100km race from Bath to Cheltenham, with many ‘undulations’ along the way. Katy was running not only for herself but also to raise funds for mental health charity Mind and in the memory of a great friend. As with Sarah Outen’s peloton, it’s amazing how taking on a challenge for a great cause can spur you on through the really dark and tough times. There is no such thing as a selfless act and, although I can’t speak for everyone or even anyone, I for one take on these adventures for myself as well as for others by pushing on through my own pain and dealing with my own demons along the way. Katy and I will be pairing up to take part in the Devizes to Westminster race next year and will be raising funds for Mind and Place2Be, both mental health charities close to our hearts. Watch this space! Dealing with a medical set back can, as Oliver says, play tricks on your mind. Our minds are so much stronger than we give them credit for and once again the power of our thoughts to sabotage a goal can be overwhelming. Knowing when to stop and ask for help can make the difference between success and having to pull the plug for good. Working on what happens in your mind is the next step. When the earthquake struck at 11.56am on Saturday 25th April Rolfe and I were sorting our tent out at Camp 1 on Everest. There were many things which could have stopped our climb but, even though we were in the Himalayas, an earthquake wasn’t even on our radar. Once the ground had stopped moving and the avalanche debris had settled down I grabbed our sat phone, shoved it in Rolfe’s hand and said ‘please phone Marni (his wife and co-owner of 360 Expeditions) and tell her we are ok. Please ask her to phone my Parents on their mobile, not the land line’ His response was ‘yeh, yeh, yeh’ but I was insistent. My Parents of more mature years were on holiday in Belgium at the time and I didn’t want them finding out about the earthquake courtesy of the BBC. BBC journalist and cameraman Tom Martienssen was climbing with us and had already filed a report with the BBC so time was of the essence. Fortunately, when Mum received the call from Marni she had only seen the ticker line at the bottom of the page ‘Earthquake in Pokhara’ and knew that we were no-where near that side of the country but didn’t know how bad our situation was. I’m sure Marni’s words of ‘they are ok’ helped but Mum and Dad shot home as fast as they could. For us it was easy (it’s all relative) as we were living what was going on second by second and could react accordingly. Those at home were getting 2nd hand news, often dramatised (not Tom’s work thankfully) and a few hours late. The earthquake was a drama in itself so why make an already dramatic event worse. This event certainly expanded my normal and gave me a slightly different benchmark on life. The after effect on both me and those close to me was quite marked. 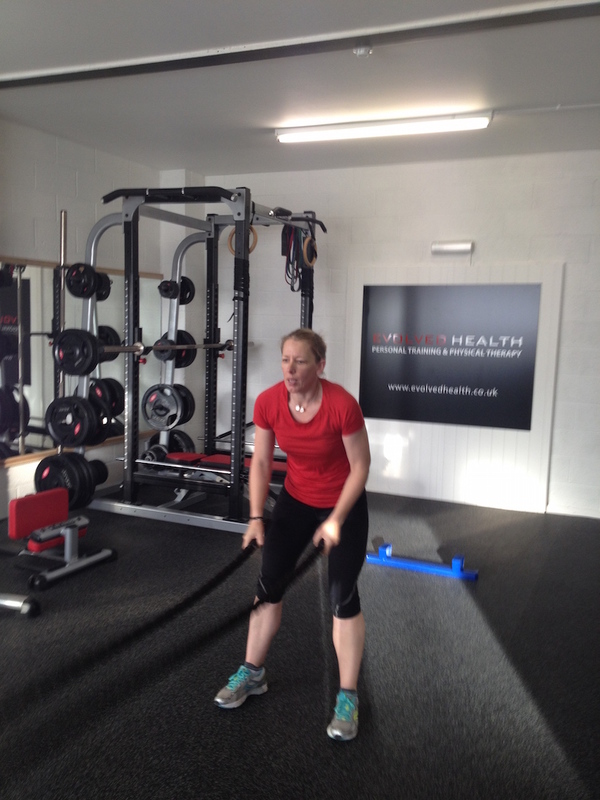 During her own Everest expedition, Holly Budge took this video. If this isn’t part of someone’s normal who is watching this then I guess it can look pretty scary. ﻿So why do we put ourselves and our families through it? I’m sure my Mum has asked herself this very same question many a time. When Rolfe and I were evacuated back to Everest Base Camp 2 days after the devastation of the earthquake in 2015 we arrived at a camp destroyed by the mother of all avalanches. Everest Base Camp is usually a thriving community during the Spring climbing season, full of around 1000 people either climbing or supporting said climbers. What we walked up through was like being on a film set. It was as though someone was going to come out and say ‘Cut! Brilliant but if you could just walk a bit slower that would be great’ But this wasn’t a film set, this was real life. We dug for our kit for 2 days and I was convinced that I was going to find my mobile, I wanted and needed to find that iPhone. It was not the phone itself that I wanted but the connection to home, to my Parents, family and friends. Towards the end of day 2 with 8 hours of digging a day I was told by Rolfe to just stop, you are never going to find it. Just a little more I said to myself and there is was, under a meter of snow and ice, just sat there. I sat it in the sun for a bit, turned it on and a host of messages came pinging through. I simply couldn’t believe it! After texting Mum to tell her I was back in contact I replied to a text from my sponsor. We had a brief chat and he asked if I would go back. I replied Yes. It wasn’t bad preparation that had stopped our climb but Mother Nature having a tantrum. Brilliant he said, go back next year. I screamed and then quickly told Mum that we were coming back the following year. The response I received? ‘Great’ and I can imagine it was not said with glee. I do it because life is out there to be grasped and grabbed with both hands. I used to be hugely risk averse and said no to too many opportunities, always thinking of what could go wrong. I now have a very healthy respect for risk but know when to push things and when to back off. Saying yes more has enhanced my life and has afforded me the opportunities I never thought possible. My Parents respect that as much as I respect their concerns. I am also very aware of the damage that social media can have on someone’s nerves back at home. When we post a dramatic story of what’s happened we are usually tucked up in a tea house, sipping hot chocolate and ready for bed. Those at home read this and head off to the land of nod in worry mode as they have no idea that all is safe now. Once again Anna McNuff alludes to this in her book, Pants of Perspective, reminding herself of the impact of such emotions on her loved ones when her bad days were over. Life is like an echo – what you send out comes back. I spent way too long brooding over my Everest expedition however, looking back on it, I needed that time to filter out what had happened not only in 2016 but also the aftermath of 2015. I am also very aware that the words that I choose to use when regaling a story and impact I wish those words to have can have far reaching effects. It’s the same with how we act and react on our tougher days. I’m now much more open to asking for help, knowing that this is a strength and not a weakness. Everyone goes through tough times, we are all humans, and showing a bit of humility and vulnerability has made me a stronger and more empathetic person. What ever the size of your expedition, from micro to massive, having the tougher moments is all part of the journey and not the destination. So if you are having a bad day, don’t worry it’s normal. One life - live it! 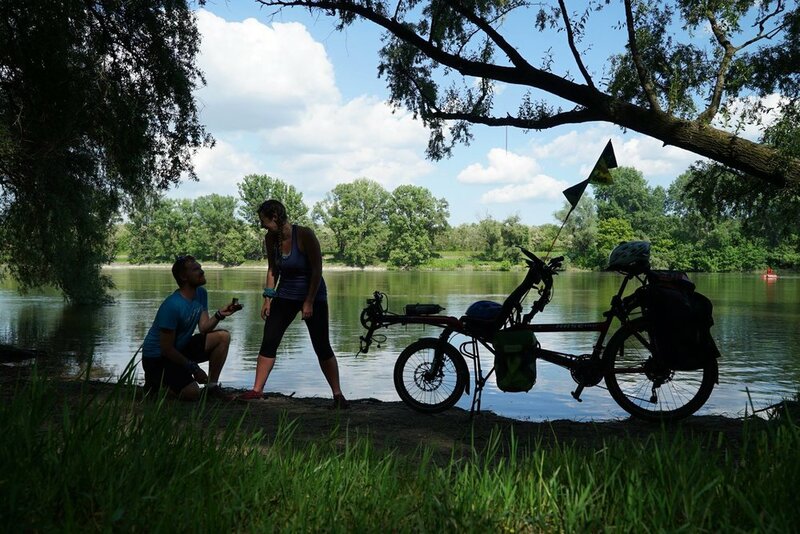 A huge thanks to all of the fabulous adventurers who offered up photos and quotes for this blog and to Sarah and Anna for giving me inspiration in their books. A week ago I had the absolute privilege of being Guest Speaker at Chafyn Grove School at their end of year awards event and I had 5 minutes to give a 'go get 'em' speech. No pressure! Instead of doing the usual 'when I was a child' ditty I wanted to say something a little different but with just as much impact so I decided to write a letter to a younger me and here it is. What advice would you give the younger you, now you have your years of experience? Life, as the saying goes, is like a box of chocolates. Some chocolates you want to savour and wish you could eat more often, some you are a little non-plussed about, easy come, easy go and some you just don’t like the taste of and never want to experience again. In order to know which chocolates you like, you need to experience some that you don’t. I know that you think you have your life all mapped out. Horses, a husband, 2.4 children, dogs, chickens, donkeys, a farm and a life in the outdoors. It really does sound fantastic and will be the first part of your life after school (well, maybe not the husband or children bit but don’t worry about that!) but please don’t be disappointed or think that you are a failure if life takes a different path, as the path you eventually discover may lead you to an even more fulfilling life that the one you have planned. You have already been through some tough times at school and will go through some more but take a deep breath and weather the storm, there are calmer waters ahead, I promise. If only genetics would have given you smaller calves and longer legs but some things you just can’t change and later in life you will be grateful for your genetics and those sturdy pins as they will take you to great heights and distant places. Do remember that it’s not what happens in your life, good or bad, that makes you the person you are but what counts is how you choose to deal with it. I encourage you to be the more gracious person as actions speak louder than words. Be a victor and not a victim, for those calling you names have insecurities all of their own, it just seems unfair that they take it out on you. Trust me, this will make you a stronger, more resilient and more understanding person, but I know that it’s just hard to go through right now. Your life will take many twists and turns. Embrace them rather than running away. Get out of your comfort zone a little more often by saying yes more, as you never know, you may find exciting opportunities in life which you never knew were there. I know that at the moment, if your school year were to write a list of those least likely to climb any mountain you wouldn’t even feature, but rest assured, your life will take a whole different route to a future more exciting than anyone could have imagined. If I told you now, in your younger years, that 30 or more years later you would be standing on the highest mountain on this planet having survived an earthquake just 12 months before, I know that you would say ‘gosh, not me. I would never be capable of that’ and then you would run in the other direction! Climbing Everest is not for everyone, but everyone has their own Everest to climb. It’s hard being a youngster, all those hormones flying around, too much school work and big expectations on your young shoulders but during these holidays take time to just sit and be still. Find a happy place and make it your own, cuddle a dog, give a friend a hug, tell your parents that you love them and know that asking for help is a strength and not a weakness. Life is yours for the taking and the only failure in life is the failure to try. Do not judge yourself against others as life is not a competition and do not judge others unless you know their full story. Be bold, be strong and always be kind. You cannot be the best at everything, I just ask you to simply give everything your best. With love and hugs, the older Jo x "
Dear Legs. Yours sincerely, Brain. We haven’t had the best relationship, you and I, over the last 47 years. We were called many an unpleasant name at school because of you, my particular favourite being Captain Cankles but the likes of thunder thighs, tree trunk legs and colossal calves were also in the mix, girls can be so cruel. I never felt that you carried us very well. Always a little on the podgy side, calves too big, not much ankle going on, not really an elegant sight to behold. Running was always a bit of an issue wasn’t it. Not executed in great style as you usually fell over your own feet and made a fool of us. Is that why you chose to be in goal in hockey and netball and that you loved to swim, no falling over there, just lots of floating. Over more recent years we’ve had a slightly better relationship. You’ve come into your own lately, getting up a hill or two but as your school report once said, could do better, could go farther, could go faster. We’ve never been able to buy nice smart knee length boots because of your somewhat over-sized calves, wellies have been an issue, riding boots were almost impossible and skinny jeans are out, everything just bunches up around your knees and you look rather comical. And today, well what can I say about today. Today you failed us in training. When asked to do more you simply gave up, you said no thanks, you threw in the towel. Why was that? You know you can do better, you know you have done better. Being tired doesn’t cut it anymore, we know that’s true. You should have, could have, tried harder. Story of our life, eh? Gosh, don’t hold back will you. Harsh comments, a few of which are fair, but certainly not many. There are two sides to every story and here is my very considered reply to you, dear Brain. The name calling – where do we start with that one. It probably had nothing to do with you but rather the insecurities of the girls it was coming from. Yes, it was harsh, but you survived school and that was a long time ago. As the song says, let it go. Just stick it on a cloud and blow it away but before you do, let it make you a victor not a victim, let it make you stronger and more resilient, let it make you more considered and empathetic. Let it make you be damned sure never to think those things about other people as you, for sure, know how it feels to have bad things said to you, about you and behind your back. Never, ever be that person. Did I not carry you well? I have to disagree. We can’t all have leggy legs for yours are strong and healthy. Remember the time you were trodden on by a horse, full pelt, landing heavily and you still have the dent to prove it? Had you not been strong your femur would have broken and you’d have been in a whole lot of trouble. Thank me for that one please and carry that dent as a good reminder of strength, not as a war wound. I do agree that we were a little podgy, puppy fat as Dad used to say, although you did eat a little too much in your younger days, and your 20’s, but you learnt your lesson as you went along in life to look after yourself. That what you put in your mouth has a direct impact on what you get out of me, your dear legs, so do remember. I’m the only pair you have so feed me well and I will take you to the ends of this earth. As for the running, didn’t you finish 3 half marathons before you started all of this adventure lark you think I’m too slow at? You didn’t fall over once, you didn’t get a single blister on the feet at the bottom of me, you didn’t once give up even when I got tired because you knew that the only way to get to the finishing line whilst training or taking part was to just keep putting one foot in front of the other. Dear Brain, you have more power to stop me working than I do for you are the ruler of our whole body. You make the decisions as to whether we keep on going or when we stop. Please do remember that your power is the greatest of all. You can be powerful when I am weakx and you can be weak when I am powerful, ultimately the decision is yours, not mine. As for the hill or two…Everest, a hill, really?! And all of the other stuff we have done together…seriously?! We, and yes, I say WE, have achieved so much more in life than WE ever thought possible. Remember how you tell people that you never even wanted to climb Snowdon once let alone two 8000ers and Kilimanjaro so many times. We all know that it takes a huge amount of effort to get me into the shape needed for even Snowdon and the bigger stuff so please stop selling us short. WE are doing pretty ok! Now, for those boots, where do I start with that one?! Who cares if you can’t wear nice knee length boots. Who cares if you think you look odd wearing a skirt, WHO CARES? There are people out there who would steal your legs for the simple reason that they function. They may not look great, they may be like a road map (of life do remember) but do stop being so selfish and vain, end of. As for today, well today was different. Today, dear Brain, you were not in the right place full stop. Today it was not my fault that we stopped as you made the decision not to carry on. It would have hurt, that one more rep on the bike and rowing machine, gosh it would have hurt but I know we could have done it. You were scared, I don’t know why. Failure? Failure of what? We were there together, remember, in the gym. You were putting me through hell yet again, knowing that every turn of the pedal, every stroke on the rowing machine was going to get us that bit fitter, that bit more prepared for the next 6 months of madness and who knows what after that, but I won’t hold it against you. Today was just one of those days, just don’t use me as an excuse but remember you cannot be on top form every single day. Dear Brain, do remember that we are in this together, we’re here for the long haul. Do remember to look at the things that we have done together, the adventures we are capable of having in the future and please stop focussing on the things that you feel are negative, the things that you feel we cannot do. No-one else sees it but you. No-one else cares about it but you. Just let it go and stop worrying for worry is a waste of precious energy and will get you nowhere. I won’t hold any of the above against you, I promise. You are great at kicking Negative Nelly to the curb and letting Positive Polly sing. You are great at encouraging everyone else to do so too, so take a piece of your own advice and just keep putting one foot in front of the other. PS Brain - if we weren't strong, if we didn't work together, we would not have been able to do this, just remember that too. 1 whole year ago today...the day that I stood on top of my 5th of the 7 summits...the day I got to be a rock star on top of Denali....the day I realised a long held dream that I never thought was possible. Listen to my rather wobbly voice from the summit! 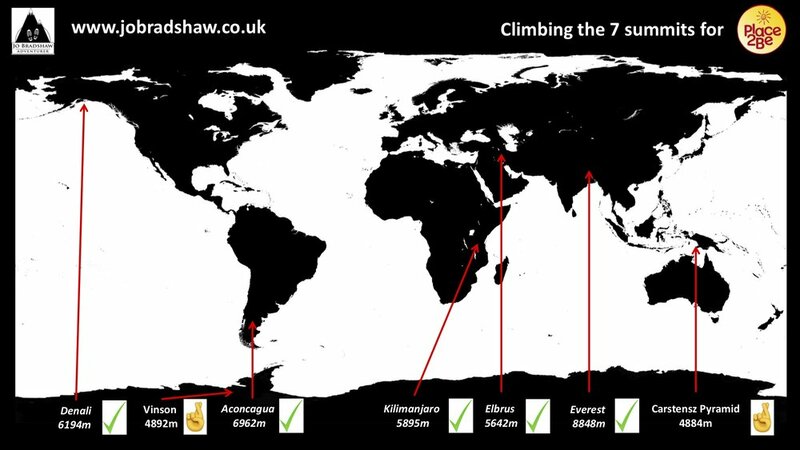 With 'just' 2 summits to go I'm focussing my efforts on raising the funds to climb first Carstensz Pyramid in Indonesia and then finally Mt Vinson in Antarctica. I have scaled down my crowd funding pages to show the target for 'just' CP and will raise funds for Vinson once CP is completed. I am aiming to do the expedition in late Jan/Feb 2019 so have a tight deadline to raise the funds, as per usual. Did you know that I do talks too? Big motivational ones, corporate business themed ones, for schools, groups and at events. The more paid talks that I can deliver then the less funds I will need to raise via crowd funding. The more paid talks that I can do, the more I can fund this project myself. The more talks that I can do, the more chances I have to motivate and inspire a few more people to find their own Everest and the more awareness I can raise for children's mental health charity Place2Be. Please, spread the word and share the love. I can't believe it is 1 year on from the best expedition, ever. You may remember a couple of weeks ago I said that I was going to say yes to less? Well, I'm a firm believer in saying yes more, I just had the last word slightly out of kilter and was saying yes to everything to the detriment of a lot of things in my life. However, this is one opportunity I couldn't say no to! That's kind of how the conversation went although I couldn't type fast enough! Off I went a couple of Friday's ago, The Subtle Bus, dogs and me, up to GoOutdoors in Basingstoke to pick up a whole load of fabulous family camping kit picked out by Emms for the GoOutpaws campaign being put together by Dave and Emms of SayYesMore fame. Roll on to Saturday morning with dogs primed, treats in pockets, tennis ball at the ready, we were raring to go! Never work with children and animals they say and this was the first time that Dave had had to have the patience to photograph dogs, or more importantly my dogs! Daisy and Lily are well behaved for the most part and having arrived on the Friday evening for a BBQ and a bit of ball throwing they were used to their surroundings and the to-ings and fro-ings of things at The YesBus. And here is the result! From Wild Camping Outdoors to Comfort Camping with Go Outdoors! Yes, it's a sponsored piece but Dave won't write about things he's not totally 100% offay with so any families out there looking for camping kit, this is worth a read too! With my new-to-me van, Bimble, well and truly in the family now and Bumble - The Subtle Bus, up for sale it's time to tell you what I have in store for my humble and currently white blank canvas of another Ford Transit. Getting a new van wasn't all about getting a new set of wheels for me. I've had Bumble for 8 years and she has served me well, starting off my career as a freelance outdoor instructor and expedition leader, but it was time for her to head off to adventures new. I have big plans for Bimble, plans which will push me out of my comfort zone, see us doing different and new things, wandering around the country meeting amazing people and going to places we have never been. Making pants with ocean swimmer Beth French. Thanks to Bex Hughes for getting oceans and mountains in the same room! Now, before anyone says anything I know this amazing line up is a tad male heavy but that's because these are people that I've just been in touch with so far. I have a long list of uber ladies who I want to get to know more and for you to get to know them too. I'll be asking people who you may know well and those who may be new to you but that's the joy of this project! Now, back to Adventure Van Bimble. A great friend is decking her out whilst I am on a school's expedition in Bolivia with True Adventure in July however I need to use her as a camper before then for work and play so I thought I would buy some apple crates, use them in the van and when they are no longer needed on my wheels, then they will become shelving and planting boxes. Bimble will be taking her first real adventure at the inaugural Top of the Gorge festival from 22-24 June. Check out the weekend here and come along if you have the weekend free. 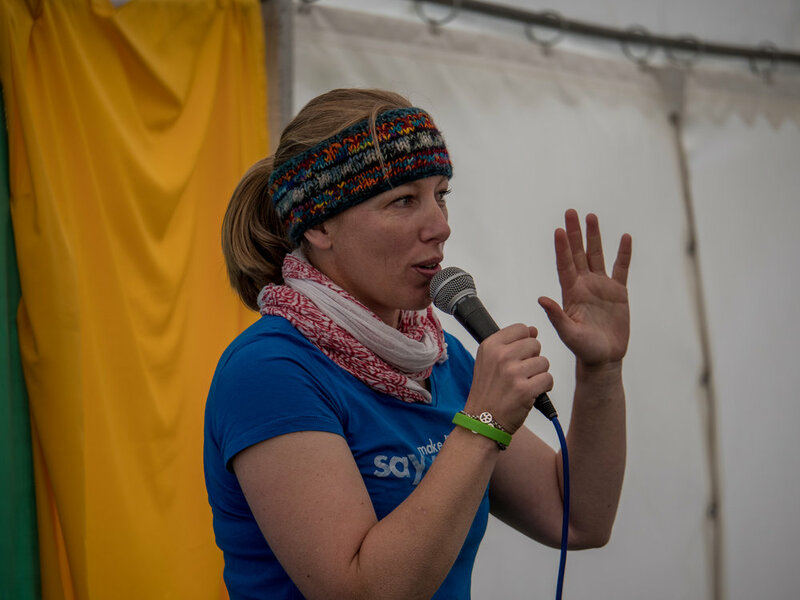 There will be so much to do and so many amazing adventurers to listen to including Anna McNuff, Dave Cornthwaite, Sian Anna Lewis, David Love and Mel Nicholls to name just a few fabulous speakers. Daisy and Lily will be there too and I'm sure will be happy for a few cuddles and the odd throw of a tennis ball! I think since Dad passed away nearly 6 months ago I’ve been on Mission Self-Destruct. I’d had a very busy 2017 so was living on the edge anyway when he became seriously ill before passing away and since then have been trying to fill every gap of time with work to keep my mind from coming to the realisation that he is not coming back. I’ve been booking in extra bits of work to boost my poorly bank balance, extra pieces of free stuff to help people out, flitting here, there and everywhere, taking on things that I never thought were in my grasp, being part of events that make me pinch myself, and maybe, just maybe, saying yes too much fearing that if I say no then I will miss out on the next best thing. When giving my ‘go get ‘em’ talk at Buckingham Palace last week, I said to both of my Gold DofE groups that I feel like I’ve only scratched the surface of what I am capable of doing now that I realise that I am capable. That I’ve just started on this bonkers journey although I changed my life a decade ago and have worked my socks off since then to make my life sustainable. I think that maybe I’ve been living the ‘say yes now and work it out later’ vibe on steroids and have forgotten that rest is just as important, for my body and for my mind. When leading trips, whether they are a one-dayer or last a few weeks I, like many leaders I know, give absolutely everything. You have every part of me for that period of time and gone are the days when I could come home and hide in my own little world, but that is certainly no complaint. Climbing Everest has added something to my life that has been beyond my comprehension and now trying to complete the last 2 of the 7 summits, life really is on hyper drive to achieve the funding needed both for the cost of the expeditions and to further fundraise for children's mental health charity Place2Be. I’m all for gaining the most out of this one, short, precious life we lead but that actually, doing absolutely nothing is also part of gaining that ‘most’, to absorb what has been achieved and to get ready for the next. I was supposed to have driven up to North Wales on Sunday afternoon to get prepared for my International Mountain Leader summer training course which starts on Wednesday. The course kicks off with a speed navigation test which needs to be passed. My nav is good but I wanted to go into the course bomb proof with a clear and open mind, not knackered with a fuggy brain that is too tired to remember the word ‘contour’ or ‘spot height’. This course is just the start of another chapter of my life and a very important one at that. There are only 600 registered IMLs in this country and my goal is to be one of that slowly growing number. The IML doesn’t mean another tick in the box of my outdoor qualifications. There is nothing wrong with being a Mountain Leader, I’m very proud of that qual, but my experience in the outdoors and my quals don’t match up so it was time to address the balance. I also want to boost my knowledge, to keep learning and to meet a new group of like-minded people but it can wait and for me, has to wait. I made the decision to put the brakes on to this non-stop route to a car crash and have mixed feelings about it, but I know that I have made the right decision. Putting something so important on hold is a good thing, is the right thing, for me. ‘I’ve just been reading Stephen Hawking’s ‘Brief history of time’. Wow! Did you know a star is formed from a huge cloud of dust & gas? Under immense pressure it collapses and out of this grows a star. Please don’t get me wrong. I absolutely love my job and all it entails, and I am by no means complaining for I have said yes to all of this. I am so blessed to have the opportunities that I have through bloody mindedness and a huge amount of hard work and dedication to keep bashing on when so many barriers are popped up in my way, but I do need time to breath. My house is a mess, I keep losing things and forgetting words, in a hurry all the time, my garden is a little too much on the wild side, I feel unfit and groggy, bouncing from job to job, from coffee to coffee and from one chocolate brownie to another and it’s time to sort that out. I was wearing my comfy Salomon trainers this morning and thought, these trainers were made for running and running they shall do. So, tomorrow morning the girls and I will be out doing a short jog to get things going. I will gradually tidy up my house and tame my garden, I shall work on getting my van sold and refitting my new one. I will slowly work on the crowd funding, both the business and personal campaigns and will complete the things that people have asked me to do and said yes to but then learn to start saying no once in a while, as hard as that will be, but saying no is ok to do, people do understand. Believe me, I'm still a huge advocate of the Say Yes More way of life however there is definitely a balance to be made, it doesn't say 'say yes to everything'. As much as I love my single life, I don't want to be on my own forever and don't just want to fit someone in. I want to meet an extraordinary adventure partner in crime and if I'm running around like a headless chicken, who is going to want to come near me! Protecting my mental health is so important to me, I need to practice what I preach, and do as I teach. I want to lessen the black fog, cut out the migraines and come to terms with the fact that Dad has left a great legacy, I just need to protect it. Dealing with grief is tricky, it's like the weather and is constantly changeable and like a river, it just needs to run its course. Ok, so here it is....a big deep breath....crowdfunding time! As some of you know, my Everest and Denali climbs were funded privately by a very generous company who wanted no promotion bar me raising as many funds for children's mental health charity Place2Be and I did just that. Over the past 3 1/2 years we, yes a HUGE 'WE', have raised over £23,000 for Place2Be as well as raising awareness for children's mental health and mental health in general. With 5 of the 7 summits completed, namely Aconcagua, Kilimanjaro, Mt Elbrus, Denali and Everest I 'just' have Carstensz Pyramid and Mt Vinson to complete. I am now looking to share the love and spread the cost (quite rightly too) so I am seeking support from a bigger net. I have now set up both a business and personal crowdfunding page to harness good will and help me to complete this bonkers goal of being the 10th British woman to have stood on top of all 7 summits and more importantly to take Place2Be with me too. A kindly request - if you know of anyone who may be interested in putting a few or many pennies in the pot then please pass on my page details. Both pages will go up on my website shortly and I will certainly keep raising funds for the charity alongside these pages too. Without the climbs the fundraising decreases so, to me, they work hand in hand and as always, you will all get something in return for your hard earned cash. And don't worry - I'm not trying to raise £120k! For every pound raised on one page, the amount needed will decrease on the other, if that makes sense! The waiting game is over, it's time to climb! 2 years ago and we were actually on our way back down from Camp 3 after an aborted summit attempt on Everest having been advised that the weather was turning for the worse and we would have to wait a little longer, back at base camp. Not the radio comms you really want to have given the effort it takes to get up to Camp 3 at 7000m, after you were all set for the push to summit the following 24 hrs, the last 40 days of great work and the mental highs and lows behind you, we were ready and raring to go. However, you can't beat or cheat the weather, especially at 8000m, so down we came to base camp at 5350m to enjoy 2 days of 'relative' luxury with a bucket shower, more oxygen (at 45% of the norm at sea level I did say it was relative!) and some fairly warm days before we headed back up on 16th to reach the summit 3 days later. This coming weekend, on the night of 18/19 May, I will be taking a group of charity fundraisers on a night time ascent of Snowdon, at 1085m the highest mountain in Wales. I'm sure for many, this will be their own Everest and as leader of a highly motivated and experienced team supporting our trekkers, we are really privileged to be part of enabling their dream and helping to raise funds for a worthy cause. 2 years ago on 18 May I was heading out into the night time to climb to the summit of Everest early the following morning. I've been watching the posts on Facebook from many of the teams out on the mountain at the moment and with the ropes fixed to the summit of the south side this Sunday afternoon by a highly experienced team of Sherpas, the route is open and the waiting game is over....almost! As with our expedition in 2016 (we won't dwell on the schedule of 2015! ), you start with Plan A and gradually work your way down the alphabet hoping you don't run out of letters. The weather plays a big part of any expedition, especially on an 8000er, as does fitness, logistics, health, what other teams are up to and the temptation to rush for the gates and try to head up with the crowds is high. We weren't planning on climbing with the crowds but some things are out of your control and on the night of our ascent we shared the route to the summit with 180 fellow climbers and Sherpas, the high numbers due to severe weather the 24 hrs before holding many climbers at the South Col.
As I often remind people who are moaning about how busy it is/the crowds/the queues are, I was part of those numbers, we all make up those numbers and we still made it. A huge best of luck, safe climbing, safe descending and happy memories to some great friends on the mountain at the moment and to everyone on both the south and north sides of Everest. Hold your nerve, don't rush it as you need to save every ounce of energy, ignore what everyone else is doing and stick to your own game plane. Savour the moments and remember, just one foot in front of the other is all it takes as it's only the next step that counts. The same advice in this paragraph goes to my charity fundraisers this weekend on your own Everest in Wales. A couple of weeks ago my Mum found my DofE book from 1986. I remember some of my Bronze Award from the cooking to the first aid and I definitely remember the monster-sized blisters on my heels at the end of a very hot 2-day expedition. I got a satisfactory for that expedition so I clearly had some work to do! Roll on 32 years and I am now not only instructing and assessing DofE participants from the start of their DofE journey at Bronze through to Gold and very proudly handing out certificates to Gold Award achievers at Buckingham and St James’s Palace. Who’d have thought this satisfactory girl would kick her inner lazy into touch to climb mountains and hopefully inspire some of our next generation of adventurers. The Duke of Edinburgh’s Award (DofE) has been running for 62 years now and has had a hugely positive impact on many millions of youngsters around the world in those years. I was fortunate enough to go to the Diamond Anniversary Service of Thanksgiving at Westminster Abbey in November 2016 and listened to not only The Earl of Wessex give a heartfelt speech but heard from DofE Award holders of how their DofE programme has had an impact on their lives, one of whom had been a young offender and has since gone on the straight and narrow thanks, in part, to the structure and learning opportunities given by the DofE and those involved. When I was invited to present for the first time at St James’s Palace in November 2015, my now dearly departed Father jokingly (in part I’m sure) asked me to give his regards to the Duke and say ‘you’ve done a grand job Sir’. I obviously didn’t but I totally understand my Father’s sentiments. Since its creation in 1956 over 2.7 million students in the UK between the ages of 14 and 24 have been presented with their DofE Award from over 6 million starters including over 1.7 million Bronze, 660,000 Silver and 276,000 Gold Award holders. From the students who start their DofE journey, 4.5% are presented with their Gold Award. A Gold Award is challenging for a good reason, it’s not called a Gold Award for nothing. Most students will go through their Gold during their A level years, so time is at a premium and the pressure is on. It takes dedication and commitment to work towards this award through the five elements which include a 4-day expedition, 5-day residential, 12-month volunteering, and physical and skills elements which are 12 and 6 months long, each for a day per week as an average. So why do students put themselves through this during their hardest school years? Because they want to be part of that 4.5% and to have something truly amazing on their CV and have something truly amazing in their lives. A Gold Award holds gravitas. Universities take into account the hard work that doing a DofE programme takes to complete, employers take into account the commitment it takes to complete, and the students really understand the dedication that they need to put in to be part of that small percentage. When I climbed Everest in 2015 I didn’t want the climb just to be about one mountain and me, but to be about others too and to be able to give a great opportunity to share Nepal and our acclimatisation with a group of six Gold DofE participants. As their residential we trekked to Everest Base Camp and climbed 6000m peak Lobuche East (amongst a great team of friends and clients) and all six students benefited hugely from this experience. I will be posting up their stories on my website shortly, they are all truly inspiring in themselves. If you have a teenager who is looking to do that bit extra or if you have employees who are looking to push themselves that bit farther then encourage them to sign up for their Duke of Edinburgh’s Award. From doing my Bronze Award when I was 15 to seeing it all from an instructor’s viewpoint and assessing all three Award levels as part of my work with Adventure Training & Expeditions, and for the last three years presenting at the Gold Awards in my 40’s, I can guarantee is it totally worth it. To see why businesses love it too - click here to see why!